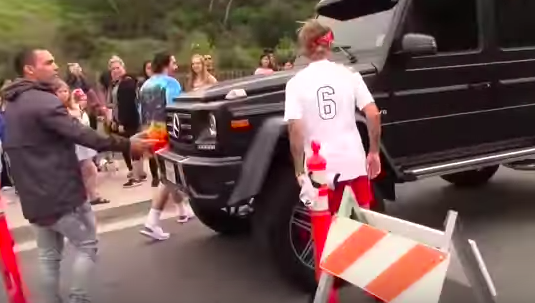 After being followed for years by swarms of sobbing teenage girls, you’d think Justin Bieber would be well used to fans getting a little too close for comfort. However, new footage shows he gets just as hacked off as the rest of us when people invade his personal space, and to be honest, it’s kind of understandable. Just because the 24-year-old is a world famous singer-songwriter, it doesn’t mean he gets any less freaked out when someone tries to snap a sly selfie without his permission. 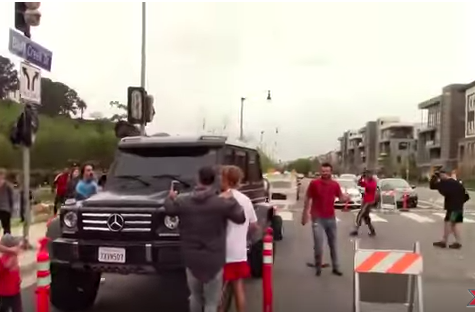 The footage shows Justin heading back to his car following a football game in Los Angeles, as many fans looked on to take a pic. One Belieber got a little too confident, approaching the What Do You Mean? singer from behind and sneaking an arm around him. However, no sooner had he lifted his phone aloft to take a selfie, it was whacked out of his hand by an infuriated Justin. Now, Justin is clearly much stronger than his baby-faced teen idol persona may suggest. He struck hard and true, with the phone bouncing sickeningly off his car before crashing to the ground. The over-friendly fan could be seen raising his hands in disbelief, but Justin was having absolutely none of it. Get out of my face, bro! Get out of my face! 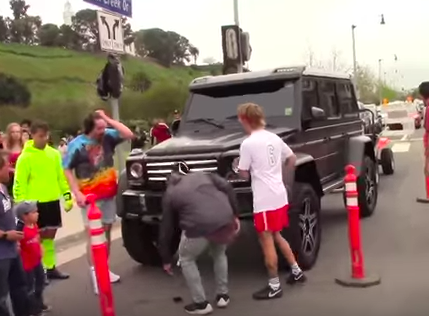 The Bieber enthusiast stooped to pick up his – let’s face it, probably shattered – phone, while Justin begins to storm off towards his vehicle. Crikey. Now, anyone who’s ever breathed inside a gym changing room will know this is the last thing you would want thrown in the direction of your nostrils. Onlookers appeared genuinely surprised by the confrontation. His image has been squeaky clean as of late, with not a mugshot or thrown egg in sight. Could his most recent break-up from on-off love interest Selena Gomez be taking a toll on his patience? Despite rumours of a budding romance with 22-year-old model Baskin Champion, many believe Justin is still holding out hope for yet another Jelena reunion. Justin was introduced to Baskin through his friend group and they have only hung out a few times. He has definitely been liking her company, but to say they are dating is a huge stretch. Justin isn’t trying to be serious with anyone but Selena.